Tastier and healthier breakfasts, happier animals and sustainable local communities – buying local, ethically-sourced produce makes so much sense on so many levels. And you get to use a pretty looking badge. You’d be surprised how difficult it can be tracking down a Sussex sausage. Tomatoes even trickier. Mushrooms forget it (at least out of my usual foraging months). Does the challenge for an award-seeking B&B owner never end?! 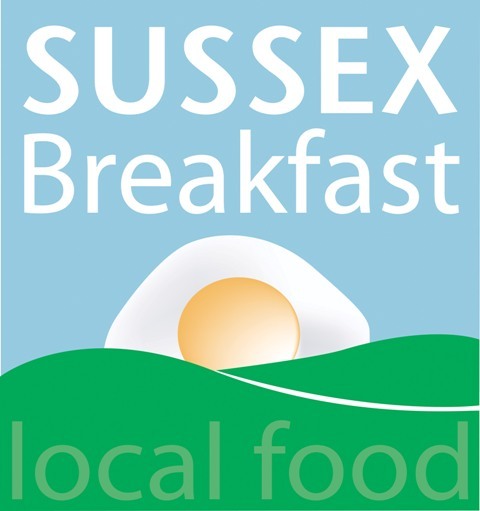 Still, The Guesthouse East in Eastbourne has recently received official accreditation as a Sussex Breakfast provider. Phew. We look to source our breakfast goodies from small-scale producers who tend to take more care over their products, using high-quality, natural ingredients – traditionally-reared grass-fed cows, pigs and chickens which produce milk, meat and eggs rich in omega-3s. What’s not to like about shorter supply chains supporting local economic activity and ultimately keeping Sussex beautiful, with the rolling pastures of the Downs and the patchwork of small, irregular fields, hedges and ancient woodland which have been maintained by traditional farming over many hundreds of years. So the next time you tuck into one of our Full Englishes or mega omelettes around our communal table, that warm, satisfied smile won’t just be the result of the ginger chef in the kitchen, but toil and love of a whole local community.